What is a Cancer Care Plan? 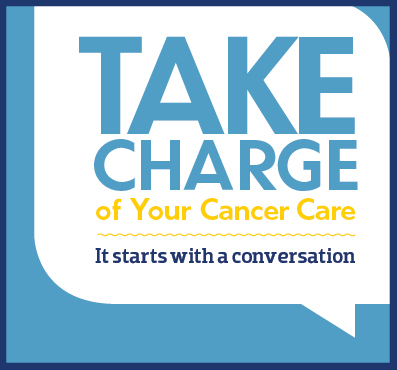 One way to help make sure you and your health care team understand each other is by using cancer care plans. If you were going on a trip, you would likely have a plan of how to get to your destination and what to do when you arrive. In the same way, cancer care plans are roadmaps that make sure you know where you are going and how you will get there. This roadmap should be discussed with your health care team and can be shared with other health professionals you see, such as your primary care doctor, radiologist, and surgeon. Cancer care plans are useful whether you are newly diagnosed, making the transition off of active treatment, or changing your treatment course. There are currently more than 12 million Americans who are considered cancer survivors, and their ranks are growing rapidly as more than a million new cases of cancer are diagnosed each year. Unfortunately, the current U.S. health care system is failing to deliver the comprehensive and coordinated follow-up care cancer survivors deserve. Too many survivors are lost in transition once they finish treatment. Every cancer survivor should have a comprehensive care summary and follow-up plan once they complete their primary cancer care that reflects their treatment and addresses a myriad of post-treatment needs to improve their health and quality of life. Diagnostic tests performed and results. Tumor characteristics (e.g., site(s), stage and grade, hormonal status, marker information). Dates of treatment initiation and completion. Surgery, chemotherapy, radiotherapy, transplant, hormonal therapy, gene or other therapies provided, including agents used, treatment regimen, total dosage, identifying number and title of clinical trials (if any), indicators of treatment response, and toxicities experienced during treatment. Psychosocial, nutritional, and other supportive services provided. Full contact information on treating institutions and key individual providers. A description of recommended cancer screening and other periodic testing and examinations, and the schedule on which they should be performed (and who should provide them). Information on possible late and long-term effects of treatment and symptoms of such effects. Information on possible signs of recurrence and second tumors. Information on the possible effects of cancer on marital/partner relationship, sexual functioning, work, and parenting, and the potential future need for psychosocial support. Information on the potential insurance, employment, and financial consequences of cancer and, as necessary, referral to counseling, legal aid, and financial assistance. Specific recommendations for healthy behaviors (e.g., diet, exercise, healthy weight, sunscreen use, virus protection, smoking cessation, osteoporosis prevention). When appropriate, recommendations that first degree relatives be informed about their increased risk and the need for cancer screening (e.g., breast cancer, colorectal cancer, prostate cancer). As appropriate, information on genetic counseling and testing to identify high risk individuals who could benefit from more comprehensive cancer surveillance, chemoprevention, or risk reducing surgery. As appropriate, information on known effective chemoprevention strategies for secondary prevention (e.g. Tamoxifen in women at high risk for breast cancer; aspirin for colorectal cancer prevention). Referrals to specific follow-up care providers, support groups, and/or the patient’s primary care provider. A listing of cancer-related resources and information (Internet-based sources and telephone listings for major cancer support organizations). Patients should require their doctor to provide a written record detailing the type of cancer they had, the treatments and drugs they received, and the potential side effects of these treatments. Patients should be given a written cancer survivorship plan that would detail what kinds of screening or tests they should be receiving post-treatment and a schedule of when they should be following up with their primary care or oncology provider to have these performed. Oncology providers should explain, both verbally and in writing, the risks of secondary cancers or recurrent cancers and what signs or symptoms to look for. Patients should be advised on the benefits of healthy diets and routine exercise and the perils of not routinely using sunscreen or continuing to smoke. Patients also should ask their doctors, if appropriate, about whether they should inform close relatives about their increased risk of cancer and need for cancer screening. Cancer treatment has a different effect on everyone, and for some survivors, there are serious side effects from treatment. Providers need to educate patients and make them aware of the possible short and long term effect that may arise. Radiation could affect a person’s heart, stamina, or fertility. Patients may feel overly anxious or depressed about the possibility of getting cancer again. You should ask your doctor how treatment could affect your long-term health and mental functioning. Having cancer can affect access to health or life insurance, the ability to keep a job, as well as job mobility. Providers should be prepared to offer cancer patients information about what resources are available if they face employment discrimination or are unable to access or keep health and life insurance. 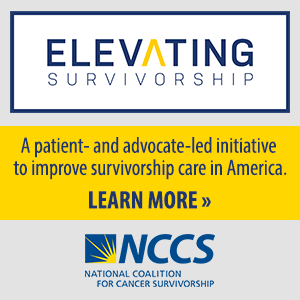 Your provider should be able to provide a useful list of community or nationally based cancer-related organizations or other groups that can offer support with or information on survivorship issues and challenges. Patients should know who will be the main point of contact working with their primary care provider to coordinate follow-up care related to their cancer treatment.